Add video with each individual product. Fully compatible with Mobile and Tablet Devices! Easy to customize the display. Comes integrated with a Lightbox! Give your customers easy access to Hows your product, video reviews, product demonstrations, or any other videos your customers may want to see. This video can be seen along with other product gallery images and can be played inside attractive lightbox. The extension setup is very flexible, the number of videos to a single product is not restricted(limited), and you can change the description or thumbnail at any time and add many video as you want. Do not limit the buyer’s information; give him the benefits of the digital world! The Video Gallery Extension adds the ability to manage videos associated with products the same way you manage images. Simply copy in a URL from Youtube, Vimeo, Dailymotion, Vzaar, or a locally hosted video. 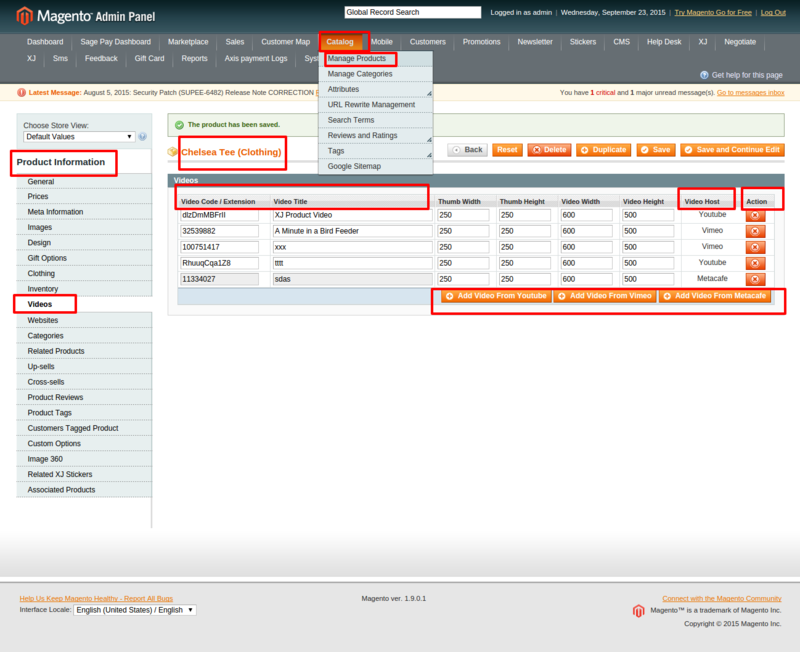 Product images are uploaded automatically and managed in the Magento cache. 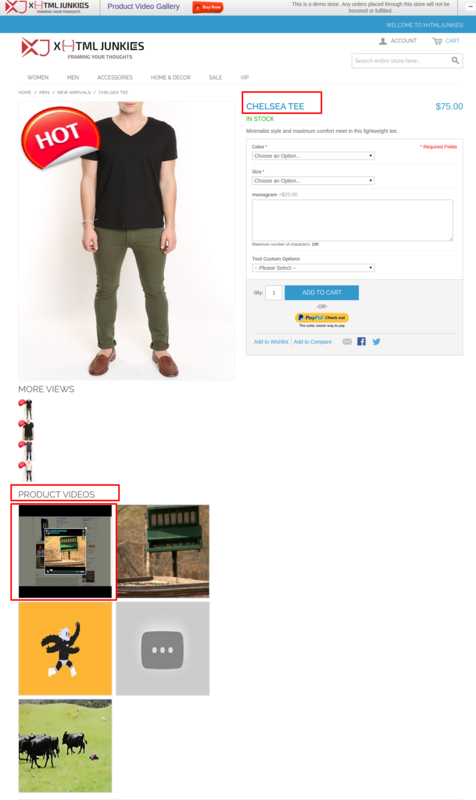 Videos show up along side uploaded images on a product view page.